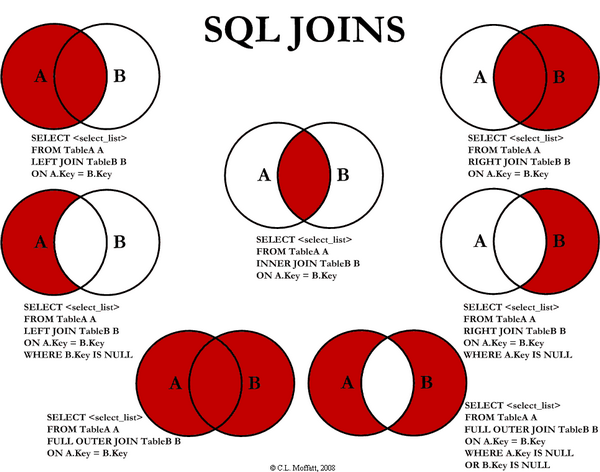 Type of JOIN is quite often being asked during the interview where we are asked to list out the type of JOIN and the differences of each of them. I found a simple illustration of the JOIN command to give the first glance idea of what JOIN is. The picture above explains the results set to be returned when these type of JOIN are used in our queries. Next time, whenever there is a confusion of which JOIN command to be used, refer to this image to clarify our doubts. However, let us have some short description of each command too, for our better understanding. Returns all rows for which there is at least one match in BOTH tables. Returns all rows from the left table, and the matched rows from the right table. Eg: The results will contain all records from the left table, even if the JOIN condition does not find any matching records in the right table, but with NULL in each column from the right table. Returns all rows from the right table, and the matched rows from the left table. It is exactly opposite of the LEFT JOIN. Eg: The results will contain all records from the right table, even if the JOIN condition does not find any matching records in the left table, but with NULL in each column from the left table. Returns all rows for which there is a match in EITHER of the tables. 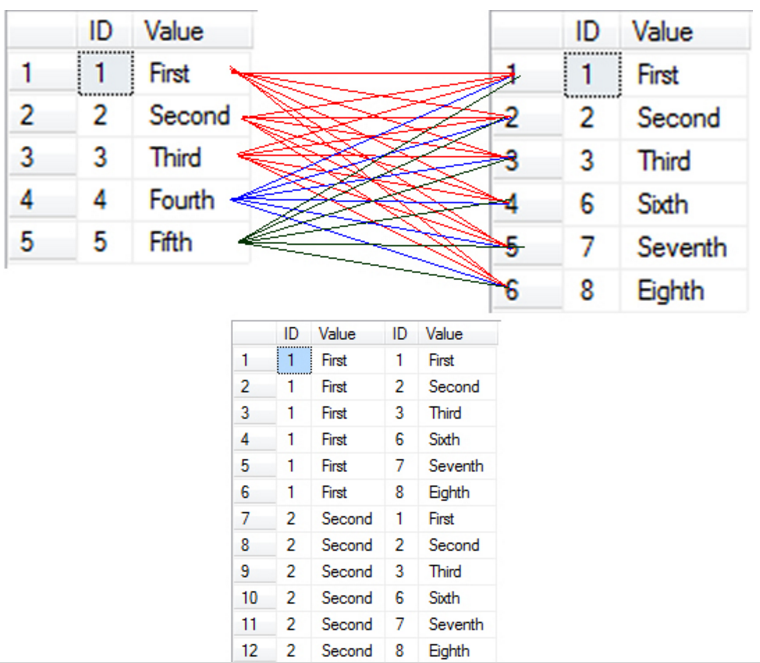 Eg: Its result set is equivalent to performing a UNION of the results of left and right outer queries. Returns all records where each row from the first table is combined with each row from the second table. Refer to the image below which I captured from the explanation made by Pinal D. in his blog.